It was arguably the biggest trial of the century. And now, museum goers here in Washington will get an up-close look at some of the items from the O.J. Simpson trial. One of the most recognizable items will be the outfit Simpson wore when he was acquitted of murder back on Oct. 3, 1995. It’s a tan Armani suit, with a white shirt and gold tie. “For us, it’s a piece of news history that we will include in our collection of objects relating to the trial,” said Carrie Christofferson, the curator who was involved in negotiations to get the suit. The acquisition of the suit ends a 13-year legal battle between Mike Gilbert, Simpson’s former manager, and Fred Goldman, the father of the man Simpson was charged with killing in 1994. Both men claimed the right to the clothing. 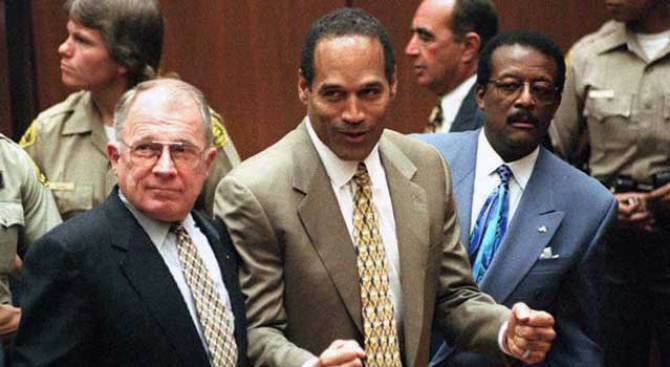 Simpson was later acquitted of killing Goldman and his ex-wife Nicole Brown, in a televised trial that was watched by millions around the country. Gilbert eventually secured the suit, and came up with the idea of donating it to a museum. The suit has been in storage since Simpson's acquittal. Gilbert said he will fly to Washington next week and hand deliver the ensemble to the Newseum. "I hope it will be displayed in a way that will help people ponder the legal system and celebrity," said Gilbert. "I'm happy that it will go somewhere where people can see it and remember where they were that day in history." The Newseum will display the suit along with a collection of newspaper headlines, press passes, reporters' notebooks and equipment used to televise the trial.